Overlooking the River Thames, this Grade II-listed French chateau-style mansion block enjoys an enviable location in the heart of the City of Westminster. Charing Cross, Embankment and Westminster Underground stations are under five minutes’ walk from this prestigious address, while St James’s Park, the Houses of Parliament, Downing Street and Trafalgar Square are also within easy reach. Whitehall Court residents also have a number of prestigious neighbours. Facilities in the building include fine restaurants in the five-star Royal Horseguards Hotel and possible membership of The Farmers Club and The Liberal Club, which are found on either side of the late Victorian building. 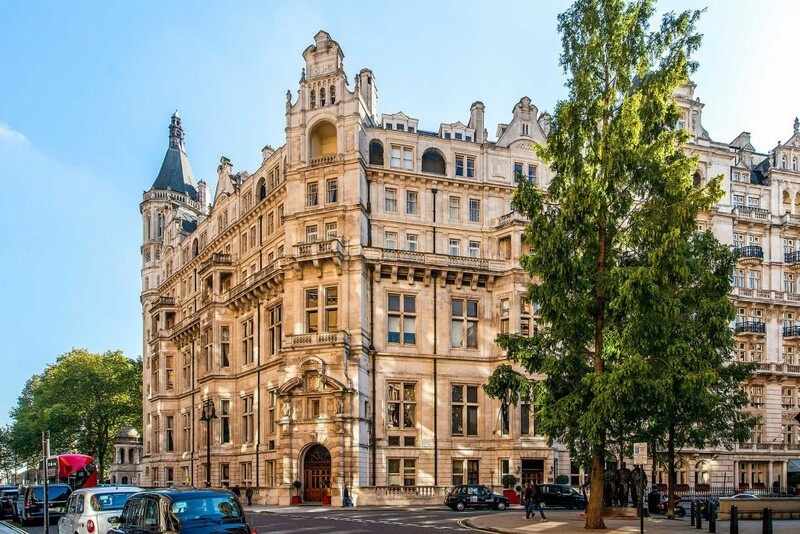 Built between 1884 and 1887 by architects Thomas Archer and Arthur Green, Whitehall Court has been home to politicians, actors, writers and gentlemen of means. In fact, William Gladstone, George Bernard Shaw, HG Wells, Lord Kitchener and Grand Duke Michael of Russia are among its former residents. The building was also used as the headquarters of the Secret Intelligence Service (MI6) until the end of World War One, while during World War Two both the US and the Soviet Union used different parts of Whitehall Court as a base. But less celebrated are Whitehall Court’s links to the man known as the Champion Hypocrite of England. The original building was financed by Jabez Spencer Balfour, who at the time was Mayor of Croydon and later became Liberal MP for Tamworth and then Burnley. In 1887, Balfour established the Liberator Building Society, which grew at a fantastic rate on the back of a property boom. But just five years later fraud caused the building society’s downfall. Some of Balfour’s investors are reported to have committed suicide when they realised they had lost everything. In 1893, Balfour himself went missing, only to reappear two years later in Argentina. Brought back for trial in 1895, he was sentenced to 14 years imprisonment of which he served 11. Whitehall Court remains a well-known feature of the London skyline and often appears in photographs taken by tourists standing on the bridge in St James’s Park and looking towards Horse Guards Parade. The building also dominates the view from the South Bank looking towards the north side of the Thames. Inside, many of Whitehall Court’s one, two and three-bed apartments – plus multi-level penthouses – have been tastefully refurbished to the highest standard while retaining the original high ceilings and French windows leading onto stone balconies. With lift access to the first floor, communal heating and hot water plus larger than average room sizes, Whitehall Court provides its discerning residents with 21st century facilities – including 24-hour porterage – set in the historic SW1 postcode area of London. Garton Jones has a range of apartments available for sale or rent within this impressive building. For more information about Whitehall Court and other luxury homes in central London, contact our Westminster office today.